As we rapidly approach Halloween weekend it's time to have a rummage in our make up bags to see what products are appropriate for the season or treat ourselves to something new. 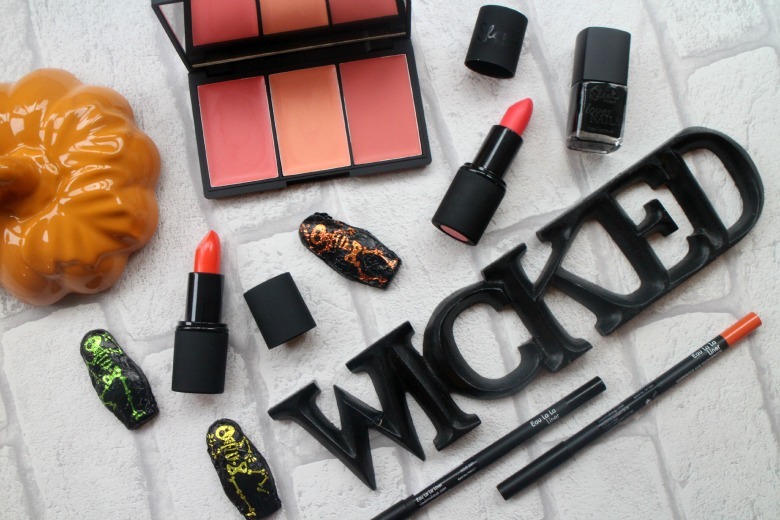 Maybe you're not into dressing up and just want to add some appropriately orange touches to your make up routine next weekend and Sleek certainly has some perfectly named products to choose from. First on the list is the Sleek's Blush by 3 Palette in Californ-i-a*. We all know by now how good Sleek Blushers are, they certainly give Nars a run for their money and for £9.99 it's a bargain for some of the longest lasting blush around. Some people have complained about the mix of power and cream blush in these palettes so this time there are three creams to choose from and no complaints necessary. If you're a cream blush fan and enjoy shades of peach and coral. The three shades housed in the familiar black casing are; Newport Beach a pinky coral with a radiant and dewy finish, The Surf a lighter peach with a gold shimmer which applies quite sheer but works nicely combined with Newport Beach or alone as a highlighter for a more natural look and finally OC a dewy finish of coral colour and the most buildable of the bunch. All shades are creamy and easy to blend and last me well into the late hours of the day. My favoured application technique is fingers when I'm feeling lazy or a stippling brush if I'm paying greater attention. 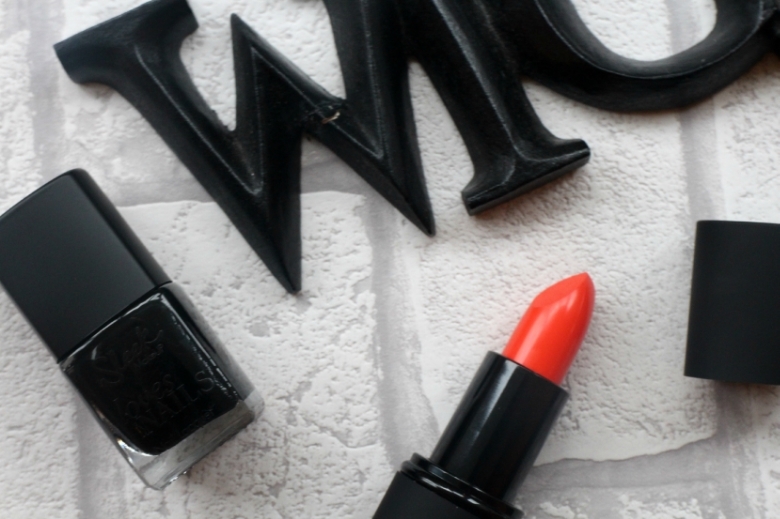 The appropriately named Tangerine Scream True Colour Lipstick* from Sleek is the perfect orange shade for those Halloween parties and you'll certainly stand out in this bright and bold colour. 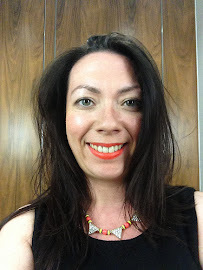 One colour you might already have in your lipstick collection is Papaya Punch True Colour Lipstick* as it's been a very popular shade over the years. A matte shade with a touch of pink and coral that provide a more subtle nod to Halloween festivities. Of course don't forget to pick pick up a complementing Eau La La Liner with Pumpkin* being the perfect accompaniment. Painting your nails a deepest darkest black is possibly the easiest way to add a Halloween touch to your day and Sleek Loves Nails colour in Raven* is perfect for a homage to Alfred Hitchcocks film The Birds. Blacks can often appear patchy and require lots of effort to build up but Sleek have created an jet-black shade which will apply with full opacity. Finally the easiest way to create any Halloween make up look is by lining your lips in black. I've used this trick many times over the years adding a spooky look to my usual red lipsticks. Pick up Noir Eau La La Liner* from Sleek for a creamy, long lasting application. Sleek also have put together at Halloween Bundle including the fabulous Enchanted Forest eye shadow palette which you can find online at Boots or all products are currently 3 for 2. I love the colour of these lipsticks, perfect autumn colours.